On the iPad, Paper by Fifty Three is the app I use most often for sketchnoting. The apps feature set makes it easy to quickly sketch, change drawing tools and colors, and to "rewind" quickly to undo my mistakes. Paper includes the ability to draw perfect auto-shapes (square, rectangle, circle, triangle, diamonds, parallelograms, line segments with arrow, etc.) and with just a tap, fill-in the shape. 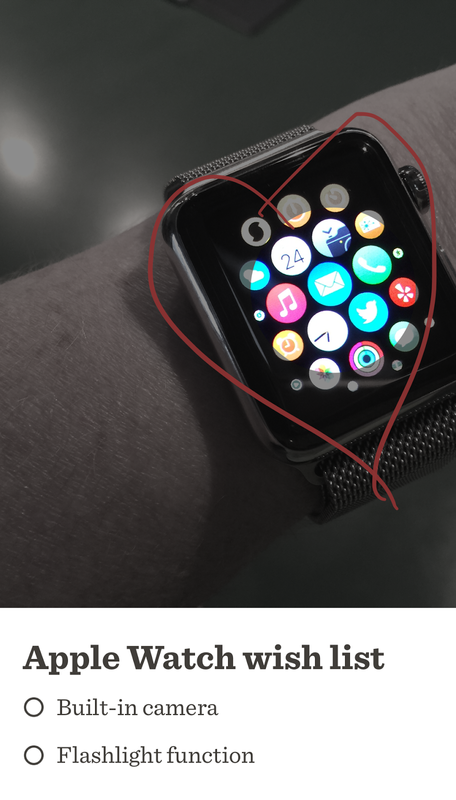 Paper also allows the user to move any component of the sketch by just circling it and dragging the item. You can explore the capabilities of the app by viewing the FiftyThree channel of videos on Vimeo. 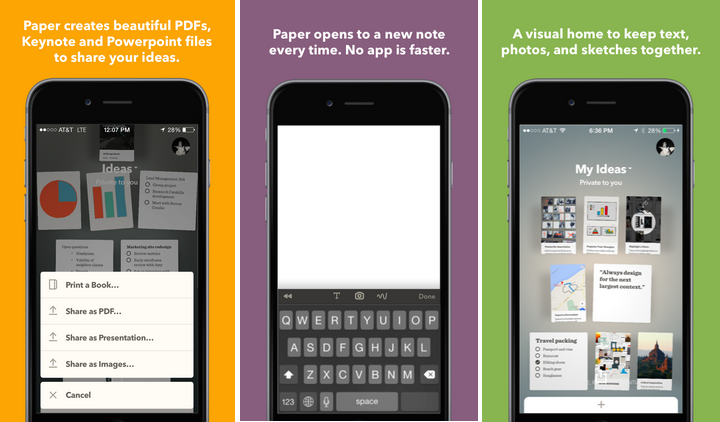 Today, Fifty Three released the Paper app for the iPhone! For those of you that are Paper users on the iPad, you will be excited about the new features that have been included for the iPhone version! And both the iPad version and the iPhone version are free! I have an iPhone 6+ and Paper for the iPhone works great! Paper for the iPhone has the same functionality as the iPad app for drawing, sketching and moving components, but has some very useful new features! Users now have the ability to import and resize images, something I have been hoping for. And there is a Spotlight feature included to highlight a portion of the imported image if you want. With this text input, there comes a very cool way to create a to-do list. Simply type a list item and swipe right, and it adds the checkbox for the to-do item! And swiping left makes the text at the top the header for the list. 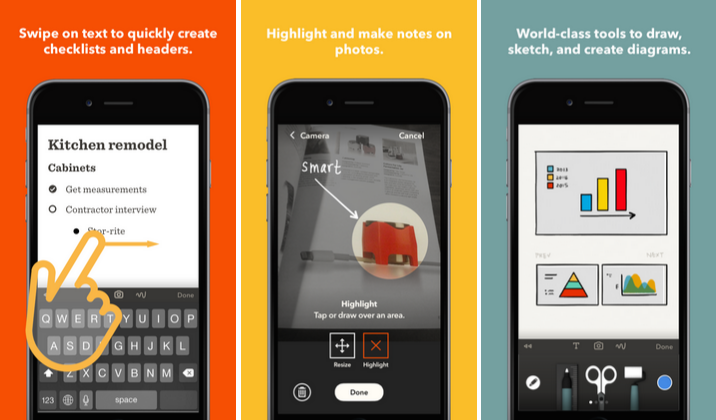 Users can combine the text, drawings, and images all on a single sketch. Simplicity and ease-of-use continue to be how Fifty Three develops and re-develops this app! When I use Paper, I use Pencil by FiftyThree as my drawing tool since, with its Bluetooth connection to the iPad or iPhone, with used with the Paper app it has pressure sensitivity, the ability to erase with the "eraser", a blending of colors mode, and a palm rest area. I use Pencil with all my drawing apps and you can see from this page the Pencil-ready functionalities that exist when using Pencil with apps from other companies. Here are a few company screenshots from the new Paper by Fifty Three for the iPhone...give it a try right now!